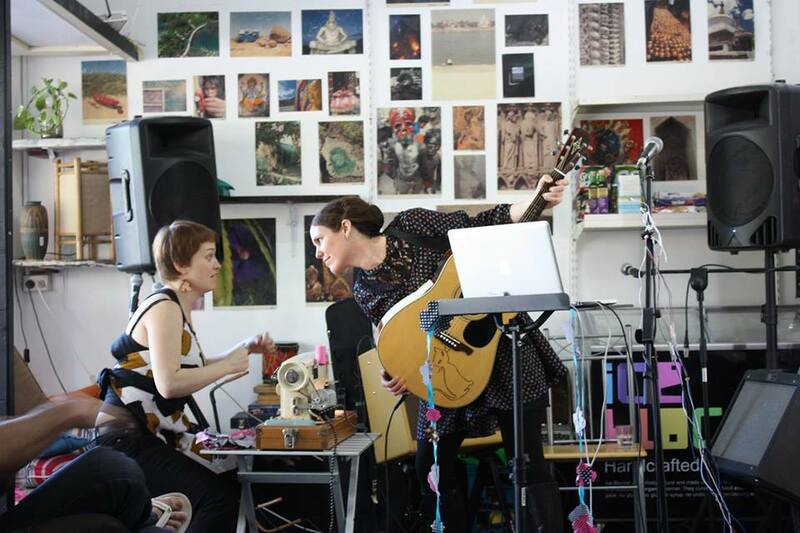 Rose Carrousel is: a singer-songwriter-producer who crafts whimsical, shimmery folktronica. Unguarded, intimate, optimistic story telling blends with shimmery, glitchy electronica,vintage beats, acoustic instruments and subtle harmonies to make my folktronica and lo-fi electro. I write, record and produce my heart-on-sleeve, melody laced creations. After exploring sentimental songs, and maybe because I finally finished my environmental science PhD, not to mention falling ever in love with my little girls, I’m exploring ideas about educating and inspiring people to protect our safe climate to keep our environment and, most importantly, our children, safe and healthy in the future. I’ve got a new climate-science-electro-pop track up now called “Love for our future“. I hope its uplifting and inspiring as we all want a safe climate for our kids’ futures. Please check out the video I made for it below if you scroll down the page. Love for our Future is also available to buy on bandcamp. My more atmospheric climate change inspired track “Living in the Long Future” is also on my soundcloud. My solo debut EP “Little Stars” (released 2017), a collection of love songs, is available on bandcamp. My single from this EP, Feathers, is also available on iTunes. The name Rose Carrousel is inspired by the ideas of looking at the world through rose-coloured glasses…the way a carousel turns and spins and offers constantly new perspectives. And Rose Carrousel references the French spelling to connect with my affection for the joy of French culture and the original carousel in Montmartre that inspired the name. Live: I am joined on stage Live by Jess Rankine who sews new beautiful things live, yes with a sewing machine. Mechatronic sound controllers which I design, code and build myself filter vocals and the sounds of sewing machines and other household domestic items to infuse the sound palate with familiar yet unexpected organic textures. In Rose Carrousel I develop further earlier experimental electronic music that I made with My Cerulean Heart and Dizzygotheca. I have performed or released in France, England, the USA, Slovakia, and Australia. I have been Highly Commended in the Queensland Song of the Year (2012, 2013). My track “Street Lights” was selected for inclusion on “Twelve: The Best of IMP’s 100 Songs Project 2011” (part of QUT’s Independent Music Project (IMP)) and my track “Little Beat” was nominated for a QSong Award (2008). 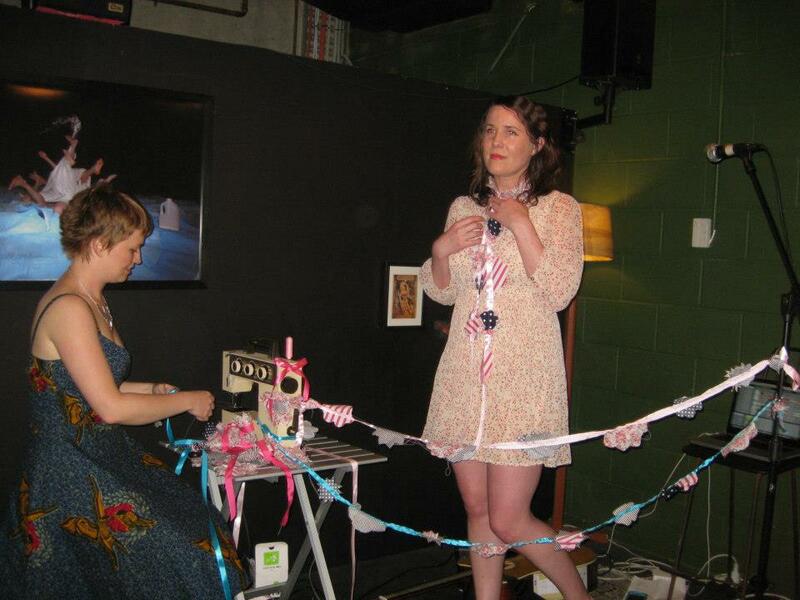 Through the Lady Electronic collective I am a successful Australia Council and Arts Queensland grant recipient. I have been mentored by and collaborated with Wally De Backer, Quan Yeomans, Scott Horscroft, Lawrence English, Julian Knowles, Donna Hewitt, Phil Graham, Mike Howlett and others. I use Ableton Live software. My vocal and production styles have been compared with New Buffalo, The Postal Service, Stars and Beach House.